Sugarleaf Labs has some of the most cutting edge and efficient hemp CBD production capabilities in the USA, refined through years of experience in processing and extraction methods for oils. We have been at the center of an extensive community that supports hemp oil production and refining, and use the most advanced extraction equipment available–from stainless centrifuges that wick our product and allow for maximum ethanol reclaiming, to our high capacity filtering and purifying techniques. 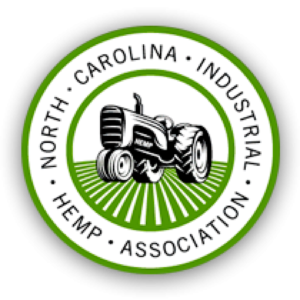 We source the cleanest material from local certified hemp growers that use responsible growing practices, including organic and regenerative farming techniques. Sourcing from the best, cleanest hemp is our mission and preserving the compounds for everyone to use is our passion. Using Non-GMO ethanol at extremely cold temperatures, utilizing advanced lab techniques, we produce cannabinoid rich oils that are used in all products we carry. Some products are formed using a full spectrum extract with maximum amount of cannabinoids that have a wide range of applicable uses. Some products are formed with an oil in the next step called a distilled oil or essential oil, a more concentrated version of full spectrum oil. We also produce a isolated CBD product that is from oils produced locally not from across the world, and use it to blend into our products. Our team brings a variety of expertise including extensive experience in everything from oil processing and refining, to sustainable large scale agriculture in a variety of crops (indoor and outdoor), high end pastry and food service, and commercial manufacturing and distribution. Everything we create has had the end user in mind. Our products utilizing the best ingredients we can source. For instance, the Ceylon Cinnamon we use is some of the best on the earth. We use organic ingredients whenever we can to deliver a very wholesome experience. We use a variety of organic oils widely recognized as part of a healthy lifestyle, including coconut oil, Safflower oil, hemp seed oil, and olive oil. The ingredients we use in the end products are just as important as the cannabinoids and there synergistic effects they have together. All of the high quality ingredients from the hemp to the oil to the flavorings act as a beneficial multiplier giving you exponential benefits compared to other products made with the bare minimums. There are a lot of companies out there selling CBD products these days. Sometimes it can be hard to stand out, and sometimes it can be difficult as a consumer to sort through and figure out which products are authentic and responsibly crafted into a safe, quality product. We have tried to simplify the process and provide you with the best-quality products coupled with the highest-quality ingredients.